Prevention and therapy of vitamin deficiencies, increased endurance in stressful situations, when the need for vitamins is increased because of additional loads – during pregnancy (only in the second half) and during lactation, especially when reproductive function is impaired; when moving animals; when replacing feed for fattening; with growth retardation and insufficient weight gain; Infectious and invasive diseases; with preventive vaccinations and deworming; after surgical interventions or wounds. 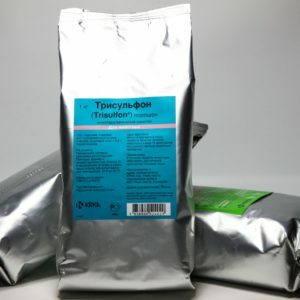 Tylosin 50 and 200 are used to prevent and treat infectious diseases that are caused by susceptible to tylosin pathogens, as well as for the prevention and treatment of secondary infections in viral diseases. Trisulfon ® has a broad antibacterial spectrum of action against most Gram-positive and Gram-negative microorganisms, incl. E. Coli, Salmonella spp., Staphylococcus spp., Streptococcus spp., Shigella spp. Antibiotics and sulfa complex preparat. 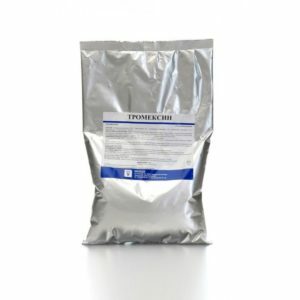 It is used to treat pasteurellosis of cattle, enteritis, pneumonia in rabbits, gastroenteritis, sepsis and swine dysentery, pneumonia, enteritis sheep, poultry enteritis rhinitis and cleanse, pasteurellosis. Used in combination with water, milk, feed.